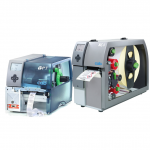 Professional printers targeted to a wide range of applications. Easy handling and high reliability are the foundation of the printers made by CAB. Unique peripherals make the cab printers stand out among others. 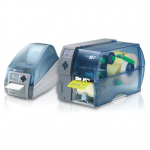 CAB printers, applicators, scanner and marking systems bring about the solution to most any application. Most printers carry the following interfaces: Serial RS232, USB, Ethernet 10/100 Peripheral connection, Keyboard, scanner or service key connection. Different models available to print on a variety of substrates including tubing used as cable/wire wraps, paper or synthetic pressure sensitive labels, coated fabrics, price tags, hang tags and more.